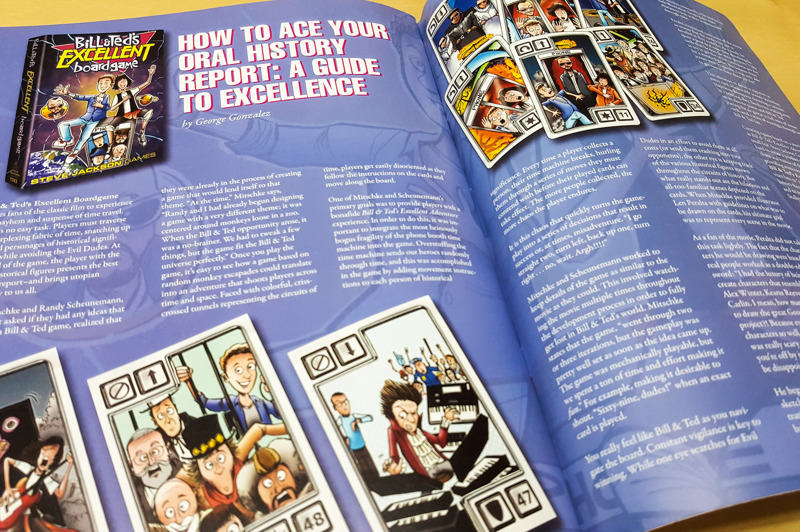 Check out the article in the July issue of Meeple Monthly about Bill & Ted's Excellent Boardgame! Writer George Gonzalez interviewed designers Samuel Mitschke and Randy Scheunemann, as well as artist Len Peralta, about the processes, trials, and tribulations that went into making such a radical game. From the arduous task of watching Bill & Ted's Excellent Adventure multiple times to check for accuracy, to Len's attention to detail in committing real-life actors like Keanu Reeves and George Carlin to cartoon characters, you can read all about it in the article. 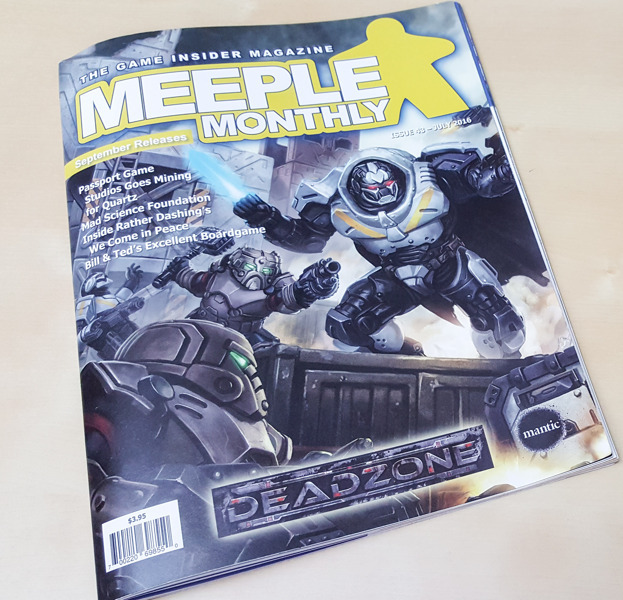 Pick up the July issue of Meeple Monthly at your friendly local game store, and collect a copy of Bill & Ted's Excellent Boardgame while you're there (or go to Warehouse 23)!